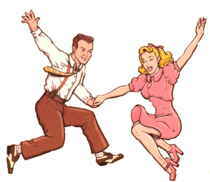 In 1994, the Utah State Legislature designated Square Dancing to be the state folk dance of Utah (Utah Code). The Utah Code states "...square dancing means the folk dance which is called, cued, or prompted to the dancers, and includes squares, rounds, clogging, contra, line, and heritage dances." 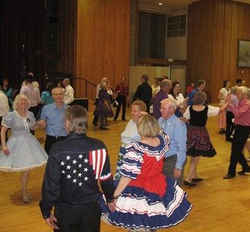 Modern western square dance clubs across the country have collaborated to have the Square Dance declared the state folk dance in all fifty states. They have also been active in efforts to make the Square Dance the national folk dance. There is some controversy over their efforts. The Mormon Pioneers loved to dance and they participated in wholesome entertainment to escape the rigors of the harsh frontier life. 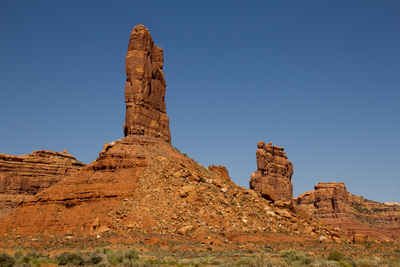 Andrew Love Neff, in his book History of Utah 1847-1869, says "The Mormons love dancing... almost every third man is a fiddler, and every one must learn to dance. In the winter of 1854-1855, there were dancing schools in almost every one of the nineteen school houses, and necessarily so much more attention to dancing involved so much less attention to study." He went on to say "Let it be remembered that only square dances were indulged in, that the gatherings were opened and closed with prayer, and that preachments were often interspersed with dancing, a happy combination of religion with pleasure and enjoyment..."
The early British traveler, Richard Burton, noted that everyone danced including The Prophet, the Apostles, the Bishops which lent a highly cultural value and worth, and of course it did bring young women and young men together in a social setting which might result eventually in marriage. 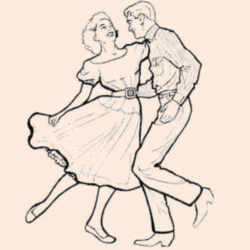 In the mid 1990s an attempt was made to pass a bill in the US Congress to designate square dancing as the national folk dance. However, the United States has designated only five national symbols, the flag, the Great Seal, the national anthem, the bald eagle, and the American rose; the square dance didnÃ‚Â´t stand a chance! But, having failed on a national level, contemporary square dancers have attempted to coordinate efforts across the US to have square dancing declared the state folk dance of all fifty states. There are more than 20 states that have passed legislation so far. 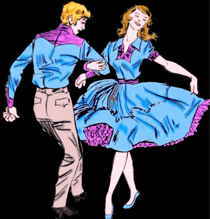 The law designating the square dance as the official Utah state folkj dance is found in the Utah Statutes, Title 63, Chapter 13, Section 63-13-5.5 (12). At least there are currently 31 states that have designated square dancing as their State Folk Dance.